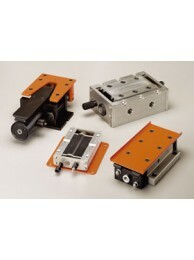 Pneumatic Transporter Repair Kits, Roller Slide Supports, Filters, Regulators, and Lubricators. Roller Slide Support (RS-2) is strongly recommended for TP-3, TP-10, TP-40, TP-70, and TP-140 ..
Filter/Regulator/Lubricator (1/4" NPT) for TP-3 and TP-10. Air line requires use of an oil mist..
Filter/Regulator/Lubricator (1/2" NPT) for TP-40, TP-70, and TP-140. Air line requires use of a..
Repair Kit for TP-3. See picture below for parts included in TP-3 Repair Kit. ..
Repair Kit for TP-10. See picture below for parts included in TP-10 Repair Kit. ..
Repair Kit for TP-40. See picture below for parts included in TP-40 Repair Kit. ..
Repair Kit for TP-70. See picture below for parts included in TP-70 Repair Kit. ..
Repair Kit for TP-140. See picture below for parts included in TP-140 Repair Kit. ..